This design is inspired from traditional style, but a combination of modern element also. 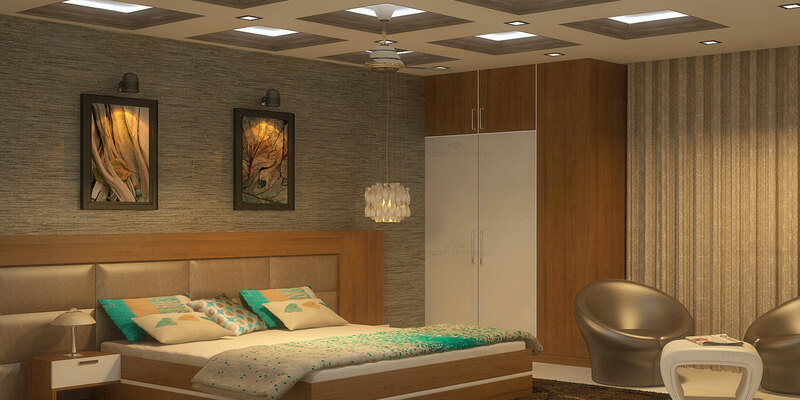 The wealthy false ceiling design with spotlights and hanging light is really commendable creativity. Texture of wall paper and paintings gives simple yet class feeling for the space. Curtain designs and furniture are unique and innovative in this design.